This is a pretty tough one for me. 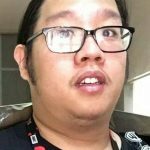 About a couple years ago, I went over the entire DC Animated Universe. Over the course of the refresher, I found out just how important this universe was to me. I realized that these iterations of these characters made up most of my earliest memories and impressions about Batman and the entire DC line. These designs, these personalities, these performances became the standard to which I would forever compare any other version of these DC characters. Granted, my childhood mostly consisted of Michael Gough’s Alfred, but that quickly was dashed away upon reliving Efrem Zimbalist Jr. By no means is one better than the other because Michael Gough was wonderful as Alfred, but I realized that Efrem Zimbalist Jr. was the Alfred in my head every time my eyes would scan over a dialogue bubble of the faithful parental figure. 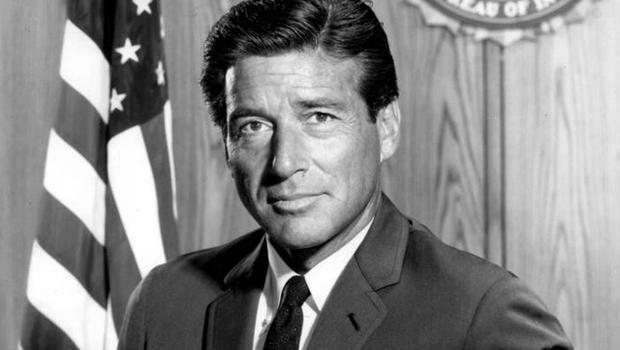 The sad news that I’m reporting today is that Efrem Zimbalist Jr., the voice of Alfred Pennyworth in Batman: The Animated Series, passed away on Friday, at the ripe age of 95, due to natural causes. As the saying goes, right in the childhood. The problem here is that my childhood has already taken a hit recently when Henry Polic II, voice of Scarecrow, left us in August. It’s only going to get more difficult if we keep losing more of our saintlike figures like this. Aside from Alfred, Zimbalist Jr. also did voicework across the pond in Marvel’s Spider-Man: The Animated Series as another prominent figure in that universe, Doctor Octopus. Before my time, however, he was a household name through the 60’s and 70’s playing in two highly successful TV series, 77 Sunset Strip and The F.B.I. wherein the shows made use of the debonair Zimbalist Jr. It was Zimbalist Jr.’s Inspector Lewis Erskine in the latter series that would eventually grant him an honorary Special Agent badge from FBI director Robert Mueller. He inspired many children to grow up to become FBI agents themselves as they grew up watching the young Zimbalist Jr. cracking cases weekly. Looks like Zimbalist Jr. was Batman! 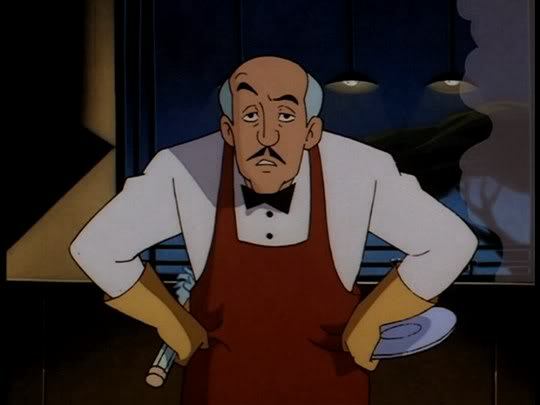 The scene in which Alfred was captured in “Over the Edge” still gets me. That scene represents the final bullet into Batman’s heart and sanctuary. We must also not forget one of Alfred’s shining moments when he saved the amnesiac Bruce in “The Forgotten.” Have you got any favorite scenes with Alfred? Let me know.